Donald James Allan (1907-1978) held the Chair of Greek from 1957 to 1971) and was Dean of the Faculty of Arts from 1968 to 1970. Allan was educated at Christ's Hospital, Horsham and at Christ Church, Oxford. He graduated BA in 1930 and MA in 1933. He was a Fellow and Tutor in Classics at Balliol College from 1931 until 1947. His early publications include his editions of Aristotle's De Caelo (1936) and Plato's The Republic (1940). During the Second World War, Allan was one of a distinguished group of academics who worked on code-breaking for the Foreign Office. 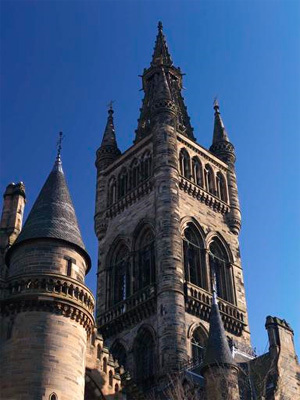 Allan was appointed Reader in Ancient Philosophy at Edinburgh University in 1948. During his time in Edinburgh, he published The Philosophy of Aristotle (1952) and founded the Northern Universities' Ancient Philosophy Group. He moved to Glasgow in 1957 where he held the Chair of Greek until his retirement in 1971.